I have been designing logos since I was about 5 years old. As a good Canadian boy, I would try to copy the NHL hockey logos, and later the NFL logos to the point where, through sheer repetition, I could draw them all by heart. The big red “C” of my hometown Montreal Canadiens, the spoked “B” of the evil Boston Bruins, and that big awesome Nordic horn on the purple Minnesota Vikings helmet. Even then, I had a feeling that some were better designs than others...but why? What makes a "successful" logo? How do you define its success? I remember enjoying learning if a logo had a symbolic meaning to the city they belonged to. When I drew the Detroit Red Wings logo, I liked it even more when my dad told me that the car tire in the logo represented the city’s automotive industry. A company’s logo shouldn’t be that different from a sports one. It should instill confidence, be very recognizable, and elicit pride and loyalty — for employees and clients alike. It should also look cool on a t-shirt. I think there are a few simple criteria, that if met, will result in a logo that can be defined as "successful." Of course this is all just my opinion — but I have formed this opinion over (gasp) about 40 years of observation. Below are some common approaches (and examples) for designing a logo. There are levels of “obviousness” when it comes to brand recognition. The simplest, most obvious is if the logo is just the name in a stylized font or design. This can be a very clean and effective method. It doesn’t rely on a symbol, the wordmark is the symbol. Take the logos of IBM or Coca-Cola, for example. It’s just their names, but in completely original, instantly recognizable letter forms. Think Metallica, KISS, and the Beatles. One step over from that is the name with a symbol. The Apple logo is an apple, Burger King shows a burger, Domino's, Target, Puma... A symbol of the name of the company should be considered quite obvious. Your company name is “Cardinal Software” and your symbol is...a cardinal. You get it. Other people will, too. Trying to be original about the design is where your skill and imagination come in. Good luck, Batman. This is still pretty obvious. “What’s his name, again?.. It starts with a “P””. It helps tie down the association of your company’s name to its most obvious symbol: the company name’s first letter. It ain’t genius – but it can be effective. Your company starts with a letter “P” so your logo is a letter “P”. That’s what I did for Pinnacle Promotions and NetKnacks tennis awards. Superman is a strong subscriber to this approach. A great coup is to get your brand known for a symbol that has nothing to do with the name and doesn’t involve the word or letters. It is purely an associated mark. The NBC peacock and Pepsi (swirly ball thing) are pretty good examples, but I think Nike and the Rolling Stones own this one. Swoosh. Now that several approaches have been covered to get started, here are 5 checkbox-able elements that I believe can help steer you toward achieving logo greatness. KISS - “Keep it simple, stupid” is a cliché for a reason. And I think it was coined by a logo designer. The genius of many logos lies in their simplicity. If you ask any random person to draw the McDonald’s logo, there's a good chance they can sketch the golden arches. This is called brand recognition. Also, no matter how complex the logo, it should still work when represented in black and white. Try to avoid drop shadows, effects and anything that makes your logo what I call “fussy”. Just take a look at the big kids, like Amazon, Walmart, Mercedes, etc. They spend millions on branding and advertising, but all of their logos are very simple. This ties in to “simple”, but deserves its own category because of its importance. Keeping a logo simple is a design decision — making it scalable is an exercise in practicality. Having worked in the promotional products industry for many years has allowed me the opportunity to see thousands of logos, and many of these logos, although great, will absolutely not work when imprinted on a pen. The logo designer did not have the foresight to realize their logo might be used at ⅛ of an inch. Thin lines, tiny fonts, and fussy details are all to be avoided for this reason. Like “scalable”, “color” could also roll up under the “simple” category. Most designers know that color usually comes after design – I said it before, but no matter how complex the logo, it should still work in black and white. 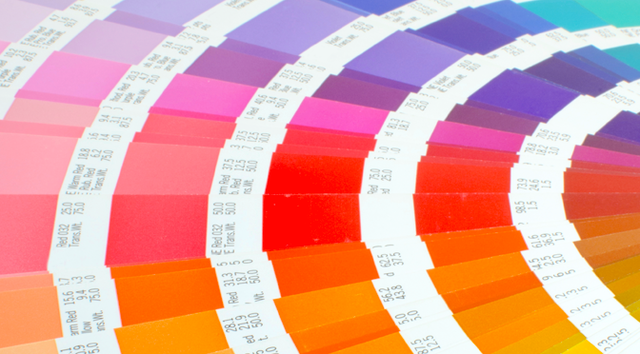 A whole essay could be written about color and what it can mean for your logo and brand. And many have. Red is aggressive, blue is peaceful, yellow is friendly, blah blah blah. I won’t get into those details because some of the color “feeling facts” go against what I think is just as important: originality. I've designed a logo that features the owner’s college football team colors (Go Tigers!) I once chose orange simply because several competitors were blue. Ask the stakeholder and go with your gut. Whatever your feelings about specific colors, simplicity of color is often the best way to go. Secondary colors, whether they are in the logo itself, or part of the supporting branding elements, can be tweaked over time. Also, there are times when your logo will need to be used as a single color, like white on a colored shirt. Fewer colors can mean less cost. That aforementioned NBC peacock is great, but I’m sure many people have slapped their foreheads when it comes to using it (and paying for it) as a 7 color screenprint on a polo shirt. There will also be times when using several colors isn’t even an option, like a one-color pad print on the side of a pen. Trust me on this one. One, or two colors, max. When designing anything – logos especially – it's good practice to stay up with trends, so that you can avoid them. If you have studied logos over the years, you can often see where they fit on a timeline. Heavy drop shadows, skeuomorphic design (designer-geek word of the day! It refers to a design style that attempts to be as "realistic" as possible: three-dimensional shading, shadows, etc. ), swirling elliptical shapes, the overlapping of multiplied colors, and single line icons all tend to date logos. It might look super cool this year, but will it be as good in five?.. ten? Beware of jumping on a bandwagon. A side effect of trying hard to be original is that sometimes you are not as original as you thought! I have poured many hours into designing a logo just to have Dean in Accounting say “that looks just like the [another company] logo!” Being a successful designer means you have to develop thick skin. Of course you want to shoot back and say “no, it doesn’t” or “at least I’m not an accountant, Dean-o.” But you can’t. And you shouldn’t. This kind of feedback, although painful (and sometimes downright wrong) is valuable. Take the critique seriously. Ask other people what they think. Even point out the comparison – whether you like it or not, it might be true. Like with music, there’s always another melody. And almost every time, I’ve been happier with the result after going back to the drawing board. Because part of me knew Dean was right. This is the fun part. This is where, if you can check off the previous elements, you can flex your logo-designing muscles. This separates the designers from the truly gifted designers. It is not necessary to have an element of clever, but it is very rewarding to get the extra points. Everyone seems to know about the FedEx arrow in the negative (white) space between the “E” and the “x”. Once seen, it cannot be unseen. Sure, it’s a bit of a happy accident, but it was tweaked to be absolutely, positively, intentional. This negative space in a logo can often be where clever lives. Every logo designer looks for it, and hopes to find it there. I have designed many logos, and I have to admit, I almost always try to get these extra clever points. The thing to be careful of, though, is that it shouldn’t come at the expense of the design itself. Sure, you have a super clever idea of how to sneak some element of the company into one of the letters of the logo. But if you can’t make it look good, it’s not worth it. If it’s too small, it’s not worth it. It has to come in last place, because it is, ultimately, unnecessary. I’ve often thought that logo design is perhaps the purest of all the corporate arts. Maybe it goes back to the hieroglyphs. You are trying to cram the essence of an entire company into one little nugget. And making it simple, scalable, original, memorable, and maybe even a little clever, is a challenge that many designers attempt, but very few truly excel in. As a designer, it is quite something to be able to look at a company's logo and say "I did that." It will (hopefully) be used for years on letterhead, the website, branded apparel, business cards, promotional products, videos – and maybe even on the front door you walk through every day. When you, as a consumer, walk through the supermarket, how do you make your purchases? You may first think of price, but unknowingly, product packaging is influencing your purchase decisions. You gravitate towards items that physically appeal to your senses. The shapes, forms, colors, patterns, and typography all have an effect on you, and how you think and feel. So, when it comes to your business, you have to get into the mind of the consumer, and design your product and packaging in a way that represents your brand, and still appeals to the customer’s sensibilities. Promotional products are excellent brand building tools, but in order to utilize them successfully, you have to take this into consideration when it comes to customization. The most successful companies have developed such a characteristic brand identity that consumers even immediately associate certain colors with those companies. If a company has such effective branding, that can easily be translated into different mediums, from print advertising, to television, to promotional products. When choosing the most appropriate colors for your promotional products, there are a few key elements that you should keep in mind. If you understand precisely who your target audience is, you will not only choose the most appropriate promotional products to give to customers, but specifically those that visually appeal to them. Each color generally conveys different emotions and messages within different demographics and cultures. For example, the color green can represent nature, money, health, greed, calmness, or good luck, depending on with whom you are communicating. Red can represent passion, danger, speed, or excitement. In terms of culture, as an example, in the western world, white represents peace, while in parts of Asia, it represents death. Vibrant colors tend to resonate more with a younger audience, while more subdued colors resonate with an older crowd. A neon mug might not attract an older consumer as much as a stainless steel mug. When choosing a color scheme, it is not just about personal preferences. Those colors should be representative of your brand. What color suits your brand personality and the characteristics of your products or services? What do you want customers to feel when they interact or associate with your brand? Remember, you don’t have to limit yourself to only one color. If done so appropriately, you can choose multiple colors that complement each other and work together well even on different backgrounds. For example, this structured cap combines a few different colors successfully, without being jarring to the eye. There aren’t certain colors that represent specific industries; it’s just finding what works best for your particular brand. Examine what sorts of color schemes your main competitors are using, and choose the opposite. In this way, you can differentiate yourself from the crowd. Still, always remember the importance of staying true to your brand. By going against the grain, you avoid looking as though you are simply jumping on the bandwagon. In branding, it’s all about being memorable. Ultimately, if you have your goals in mind, you will make all the right choices when it comes to your color selection. Through good color choices, you can truly communicate your brand’s message, make your brand’s personality shine through, and Make the right impression™ time and time again. How can you connect with those health-conscious consumers and successfully promote your brand? That’s where promotional products play in to your marketing strategy. With the right promotional products, you can help each and every customer channel his or her inner athlete, and put your brand at the forefront. Here is just a selection of the ways in which you can reach out to potential customers with great giveaways. Fitness trackers of all sorts have sharply risen into popularity recently. Knowing everything from your heart rate, calories burned, distance walked, sleep patterns, and more, gives the customer some peace of mind. Customers feel like they can adjust their daily routine accordingly, and take better control of their health. These devices can be a tad expensive, but now that is not a concern. By custom branding this tracker and handing it to customers as a branded giveaway piece, they appreciate all the same benefits that they would have with the popular trackers, while your corporate logo custom printed on the band will travel with them wherever they go, and will be seen far and wide, without busting your budget (or that of the customers)! With the Ultimate Gym Gift Set, the customer will have exactly what he or she needs to make it through a good workout. 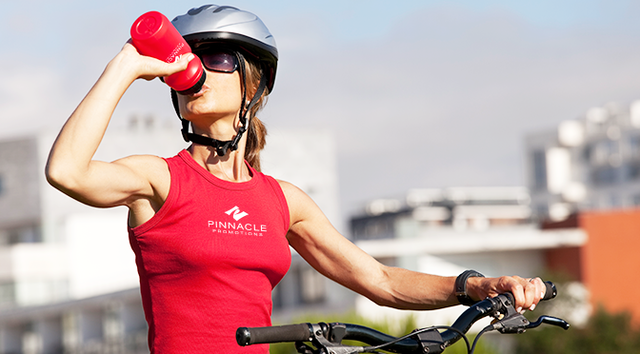 The customer can stay hydrated with a water bottle in hand, keep energy up with favorite songs playing through earbuds, and even safely hold a mobile device or music player using the armband holder. Each one of these items can be custom branded with your business logo, to remind customers that your brand is making the workout possible, and to potentially increase your brand awareness. This set acts as a unique promotional gift that shows consumers that you really do care about their health. After the tough workout, nothing feels better than a cool down. Grab a cold water bottle, and wipe away the perspiration with this soft and light, 100% cotton Fitness Towel. If you are in the fitness business, or are even hosting a health or sporting event, this promotional towel is an excellent option. You have substantial space to boldly custom print your corporate branding across it, which in turn allows you to easily spread the word of your business, and grab the attention of a much larger audience. Maintaining a healthy lifestyle is a priority for many consumers. Take this into consideration, and your brand can motivate those customers, and inspire potential customers to channel their inner athlete. With custom promotional fitness & wellness products, you can and will expand your brand reach significantly, and clearly communicate your unique brand story. We are just a couple weeks away from Labor Day, the federal holiday that represents the end of summer, and pays tribute to the contributions of American workers. Americans generally celebrate this day with parties, parades, and athletic events. It’s the time of the year to break out the barbecue, and put together an unforgettable bash. As a business owner, this is a good opportunity to bring your employees, co-workers, and their families together to recognize and celebrate their efforts. With that, here are some tips to help you organize and execute the perfect Labor Day corporate event. 1. Send an invitation now! Since Labor Day always falls on the first Monday in September, your guests have busy party schedules for the long weekend. Sending a custom invitation well in advance will allow guests to plan accordingly, and will ensure that you do, in fact, have guests at your event. You can customize this clever, earth-friendly seed paper invitation to fit your needs, in terms of color scheme, style, and pattern, and the same time, make a positive impact on the environment. It conveniently comes with RSVP cards, and Thank You cards as well, with envelopes that are 100% recycled. Incorporate your business branding, and looking professional with a bit of personality couldn’t be easier. Tying all of your party elements together cohesively will create the appropriate party atmosphere, which guests will be able to connect with. This will even make party planning a bit easier, as there is a unifying message that you are putting forward. You could go with an All-American theme, and incorporate the red, white, and blue colors into everything, from the food to the decorations. For example, you could put red, white, and blue balloons up, and even have them custom printed with your corporate branding. These 100% biodegradable latex balloons will be a fun and colorful addition. You could also hand out these USA Promotional Pinwheels to guests, as party favors that kids and adults alike will appreciate. Custom print your company branding on the stick, and you’re good to go! You can even add your corporate branding into items like drinkware, and plates, as a gentle reminder to guests of who is making the party possible! Finally, every good party needs good food, and now is the perfect time for barbecue. Grilled chicken and veggies, coleslaw, and burgers are just a few of the popular favorites for Labor Day. You will look and feel like a grilling pro with the right equipment. The Grill Master Promotional Picnic Apron Kit is perfect the chef, as it allows for all cooking tools to be easily within reach. The kit comes equipped with an apron, detachable bottle opener, padded oven mitt, and a towel. There is no need to worry about messes, as the apron is machine washable. The best part is that you can have the apron custom printed with your corporate branding, which means your brand can make yet another subtle appearance. 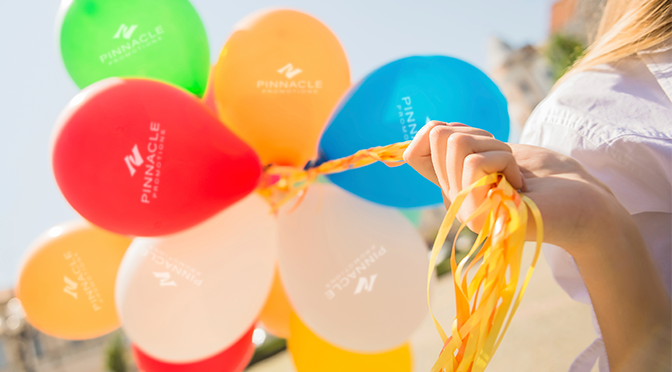 By following these tips, you can inject a bit of branding into your corporate Labor Day event in a fun, but not intrusive way, and put together one heck of a shindig! Bring together your team, friends, and family, and incorporate a bit of branding for a completely cohesive and unique get together that will be remembered long after Labor Day. Whether it’s for your staff, students, or an athletic tournament, awards are a pleasure to receive and to give. If you want to truly show respect for those recipients, those awards should be of a quality that you would be proud to receive yourself. The award should truly embody the spirit of your brand, and at the same time look professional. Custom promotional awards will help you celebrate the awardees in a classy and memorable way. At Pinnacle Promotions, you can find the custom awards that are most appropriate for your ceremony, from ribbons to plaques to trophies available, all in a variety of styles and materials. Rewarding employees and businesses for their fine work and accomplishments is not only an incentive to them to continue performing at their best, but it also builds the overall morale within the business. If you want to express your gratitude to employees in a more creative manner, these custom promotional office & employee awards are an excellent option. Looking to go against the grain? You can make a statement with the Achievement Dichroic Crystal Employee Award. The crystal is coated in a special material that creates layers of color from the reflected light. With this pop of brightness and your inscriptions etched in it, this will be a keepsake that recipients will be proud to display. Another unique option that may even earn applause on its own is the Accolade Pyramid Appreciation Award. The three tiers cleverly illustrate how the recipient has climbed his or her way to the top! Recipients will understand that striving to receive such a special award is truly worth the effort. Even a simple design can make an impression. The sleek, sharp look and feel of the custom acrylic awards is a bold expression of gratitude. For example, the Peak Acrylic Award is a clear, acrylic award featuring metallic finish lines at the base. Both the recipient and the award itself will shine! You have plenty of space to have your desired inscriptions clearly screen printed across the front, which will be a wonderful memento of an important achievement. Or, the Texture Black with Clear Acrylic Award is composed of a triangular base with clear, acrylic curved top. This distinctively geometric combination is pleasing to the eye, and is not at all bulky, which makes it perfect for presenting and for keeping. The overall professional, yet still personal feel to these awards will really resonate with recipients and those seeing it. If a statue-like design is not your cup of tea, than these wooden awards may be just right. A commemorative plaque can just as effectively and appropriately Make the right impression™. The Aberdeen Rosewood Plaque has a rosewood finish with your choice of a handful of different plate styles. Conveniently, these awards fit in with any event, whether it’s for a school function or an office event. The beautiful laser engraving adds that extra special touch. You will be able to create meaningful tokens of recognition at an affordable price. Celebrating and recognizing deserving individuals for their hard work and achievements is an important contributor to the success of your group. The myriad of custom awards at your fingertips will allow you to do this creatively and professionally. Ultimately, awardees will have a memorable way to capture that winning moment in a way that symbolizes your brand and business. School is back in session all across the country. That means new seasons of extracurricular activities like sports, theatre rehearsals, etc. In addition, individual school clubs and groups are planning different ways to generate interest in or raise money for themselves and their programs. That applies to the PTAs as well, who are organizing their agendas and events for the year. Pushing potential members and event attendees into purchasing random items will certainly make them hesitant to become involved. If you’re a club or event organizer, a positive alternative to this method is to offer complimentary, custom swag. This will allow you to spark a bit of curiosity and interest without being a complete turn off. Without further ado, here is YOUR lesson in custom promotion. No matter what type of group or event you may have, keeping personal belongings in order isn’t easy for everyone. That’s why a sturdy cinch pack or drawstring bag is a custom giveaway that’s appropriate for anyone. Offering individuals any one of these sturdy and stylish bags that are available in several different colors, styles, and patterns, and custom printing your group name or logo on it will build awareness, and act as a useful souvenir. Those individuals will be appreciative and more inclined to consider participating in respective activities. Also, knowing the type of group or event you have, e.g. a fraternity, a sports team, an orientation, you can provide associated custom branded giveaways. 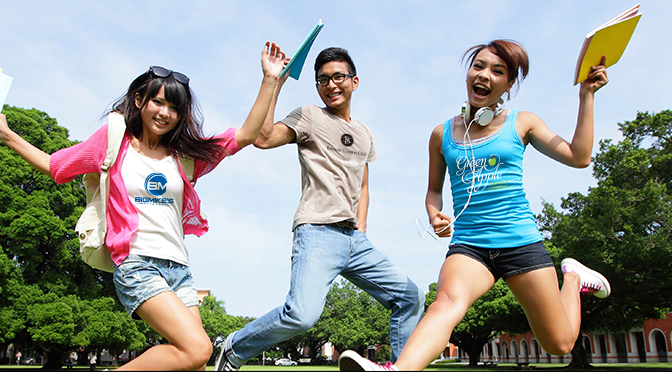 For example, fraternities and sororities may want to proudly print their letters on a comfortable and attractive t-shirt, while for a PTA event or school orientation, a fun and complimentary custom giveaway item could be a pencil stress ball. On the other hand, a unique giveaway for an athletic team could be a bold Pencil pennant to stir up some real school spirit. With your organization’s information printed on these items, you can generate buzz keep your brand at the top of people’s minds, and encourage engagement from potential members. So if you want to build brand awareness without being a bother, custom promotional giveaways will do the trick. 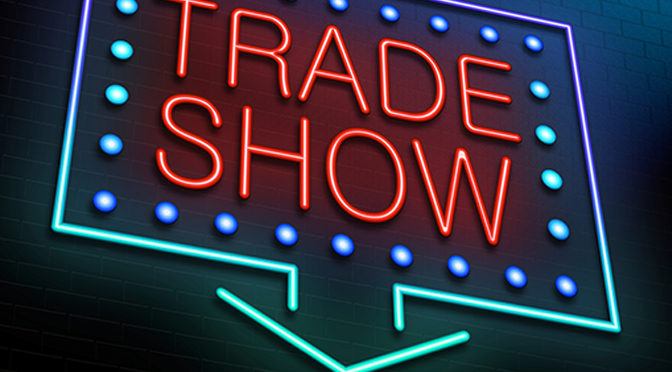 Trade shows are a great opportunity to capture the attention of potential customers, showcase your new products or services, and learn about industry trends and news. 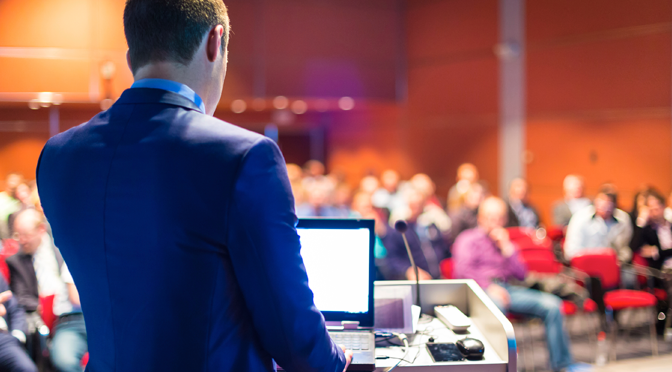 But to truly be prepared for presenting at a trade show, you need to start planning at least a few months in advance. Summer vacations are winding down, but before you know it winter will be upon us. That means that now is the time to start getting geared up for the winter trade shows. At a trade show, perhaps more than in any other place, it is the optimal chance for your business to connect with customers and Make the right impression.™ To generate traffic to your booth, aside from having an excellent presentation, you can offer clever and creative giveaways to your visitors. Custom branded promotional products or schwag will help attendees remember your brand and appreciate your service. Here are some of those products that will be perfect giveaways for the winter trade show. Your booth attendees will literally warm up to your brand, when they have the Winter Combo Set in hand. This includes a comfortable fleece scarf, gloves, and cap in a neat drawstring bag, all of which can be custom embroidered with your corporate branding. Offering this convenient and useful branded bag to potential customers and clients as a token of appreciation, as opposed to items that will more than likely be tossed aside, will allow your brand to stand out amongst the competition, and hence be remembered. So, when planning for the trade show, remember to take timing and the season into consideration, and take advantage of that. This is the perfect medium to get brand exposure and help customers stay warm and cozy all year long, not just in the winter. Your company logo can be embroidered on this microfiber fleece blanket for maximum branding impact. Since this product is not limited to a particular audience, you can attain even greater brand reach, which makes it a useful marketing tool at the trade show. Showing customers your soft side has never been easier, or more appealing. When it starts to get chilly, nothing hits the spot like a hot beverage. That is why this gift set is an excellent choice as a giveaway. A sturdy and stylish travel mug AND a travel tumbler will make enjoying hot drinks on the go easy. Your corporate branding can be custom printed on both, and the two are packaged neatly in a silver gift box. You have lots of colors to choose from, and can also choose to have both the tumbler and the mug the same color or two different colors. Even better, you can enjoy free printing set up on the second item. You can really show that your brand has personality, and can create an inviting atmosphere for your booth visitors. For the winter trade show, tap into the timing and spirit of the season with promotional products like these in your marketing arsenal. Remember, that to Make the right impression™, you should be able to connect with customers, and show them that you have put some thought into your entire trade show package, from the display to the presentation to the giveaways. 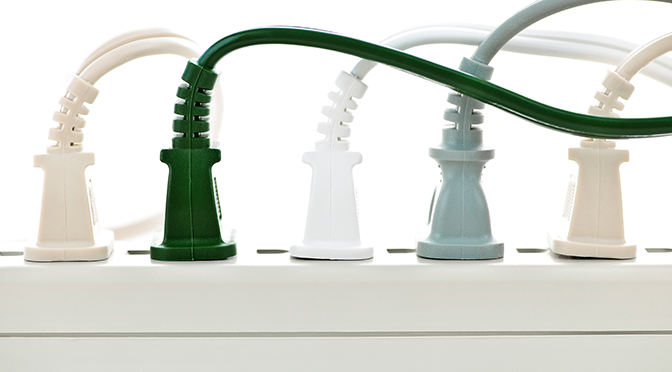 Make sure that everything that you do comes together to produce a cohesive brand message, with a dose of personality. When it comes to your business, you’ve probably heard the phrase “image is everything.” This is true, as showing a sense of professionalism is important if you want to connect with other businesses and even with your own employees. However, that doesn’t mean that you can’t have fun with your brand. In actuality, to Make the right impression™, it’s important to build a brand that’s truly professional with a sense of personality. A great way to promote team building, encourage new clients to consider doing business with you, to raise money for a cause, or even to launch a new product is to host a company event. But, to put together a successful company event, it takes time and planning. From the location, to the publicity, to the catering, there are lots of elements to take into consideration. Here are some of the important steps to making your event a success. Obviously, the first step in planning a company event is to define the business purpose for holding the event, and who your target audience is. Every planning decision that you make will be driven by this knowledge, such as the event format, the content of the event itself, the location, etc. For example, is your aim in hosting this event to generate business leads, or to raise awareness for your company or a specific product? Once you have established this, you should make sure that your team is aware of that purpose. The next step is to establish a budget, and accordingly, the complete experience. Determining a set budget allows you to understand what you can realistically do within your limitations and the scope of your resources. At the same time, once you have a set budget in mind, know if it will allow you to achieve your event goals. Then keeping your goals and budget in mind, the third step is to figure out a theme and plan the experience. What do you want attendees to learn, achieve, and have as a result? What sort of entertainment, or activity sessions should invitees expect to see and hear, for example, games, speakers, maybe product demos, and/or food & drink? There should be some sort of element of engagement or fun, otherwise it will not be a worthwhile or memorable experience for you or for attendees. Think about what type of business you have, and what activities would be appropriate for your brand and your goals. The fourth step, and probably one of the most important parts of putting on a great corporate event is to promote it. Why is this so important? Because, without promoting your event, nobody will know that it even exists, and without people, you don’t have an event! A couple of good ways to get the word out are to publicize it through social media, targeted emails or newsletters, or creatively reminding them by distributing custom branded invitations or other promotional products. Now, right from the moment that event invitees enter your event space, you can create a completely branded experience. You could first give them these handy Badge Holder Bifold Neck Wallets, which are perfect for storing ID cards, money, business cards, etc. This will make it easier for attendees to network at the event. Then, along the way, every display could be branded using these custom printed 8-foot economy table throws available in lots of different colors to meet your brand standards. From the décor to the swag and right down to the beverage glasses, don’t miss out on valuable branding opportunities. Follow these steps, and organizing a killer company event will be a breeze. Finally, remember that utilizing effective branding in your corporate event with items like promotional schwag present a cohesive and professional image that STILL has personality.